Our advance life support ambulances are equipped with life saving machines like ventilator, cardiac monitors, suction machine, infusion pumps, Defibrillator etc. and having all emergency life saving medications, hence providing an environment of intensive care unit (ICU) of any hospital. We have expert doctors and experienced para medical staff who provides symptomatic treatment and expert medical care while on the way during transportation of critically ill patients in our private ambulance services with ICU facilities in Tricity. It is very important that the patient is safe and secure while moving to hospital. The ambulance you call should have all the required facilities for the patient, so that he or she can safely reach the medical centre. As mentioned earlier, there are different ambulance available for different kind of situations and patients. Make sure you hit the right number so that the patient can reach hospital safe, secure and well in time. The first aim of ambulance service should be to serve mankind and then look for profits. It is important that ambulance service offers affordable prices and can reach even to the poorest person. Affordable and reasonable prices are a must for ambulance services. Moreover, the ambulance should be hygienic and clean. It should keep the patient in mind and make such facilities that can help the patient and not affect him or her while commuting. 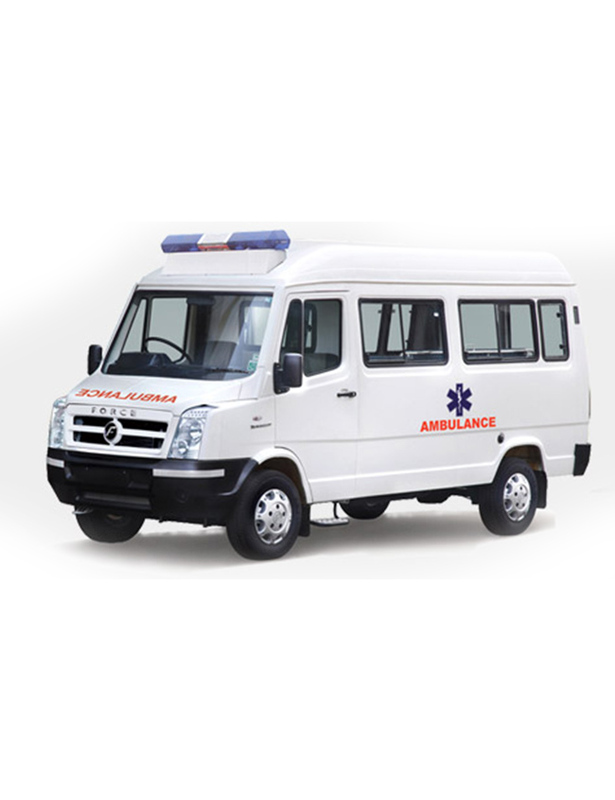 All these are extremely important points that one should keep in mind before selecting an ambulance service in Tricity. These points will certainly help you make the right decision at the time of emergency when the best service would be your priority. Basic Life Support Ambulance (BLS) is utilized primarily for transport of stable patients. Patients who need to meet their physiotherapy and Dialysis appointments also use this Ambulance. BLS is used for Psychiatric Patients. BLS ambulance comprises Auto loader trolley, scoopstretcher , wheel chair, spine board etc. Joint free seamless interior / Anti-bacterial polyurethane paint. Oxygen backup for 40 hrs. (approx.) / Gas Management System. Electrical Backup AC/ DC provided with 800 VA Inverter. Storage Space for Medical & Extrication Kits.